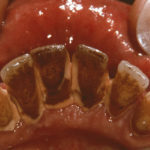 HealthDay News — Disturbing images on cigarette warning labels have a significant effect on smokers’ brains, according to a new study. The researchers used functional MRI to monitor the brains of 19 smokers as they looked at 24 different health warning images. Images with more emotional content showed things such as a diseased lung, rotting teeth, a corpse, and a man blowing smoke through a breathing hole in his neck. Less emotional images showed things such as an oxygen mask and a tombstone. The images with more emotional content triggered greater activation in parts of the brain that register emotions such as fear and are linked to creating longer-term memories, the researchers reported in the journal Tobacco Control. These images also helped reduce the urge to smoke, they added.